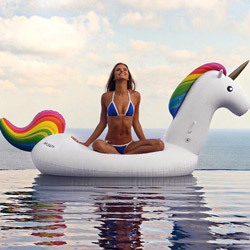 Everyone knows unicorns have special powers and this one can carry you safely over water, not just rainbows. 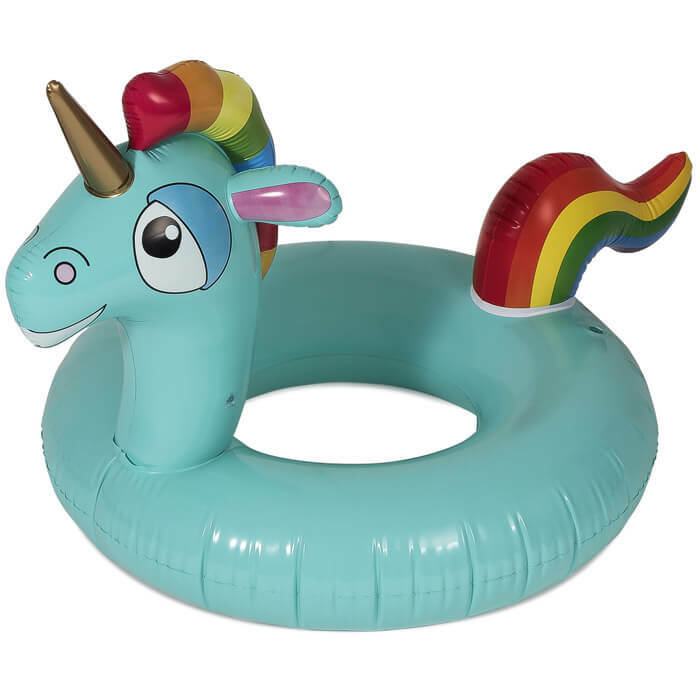 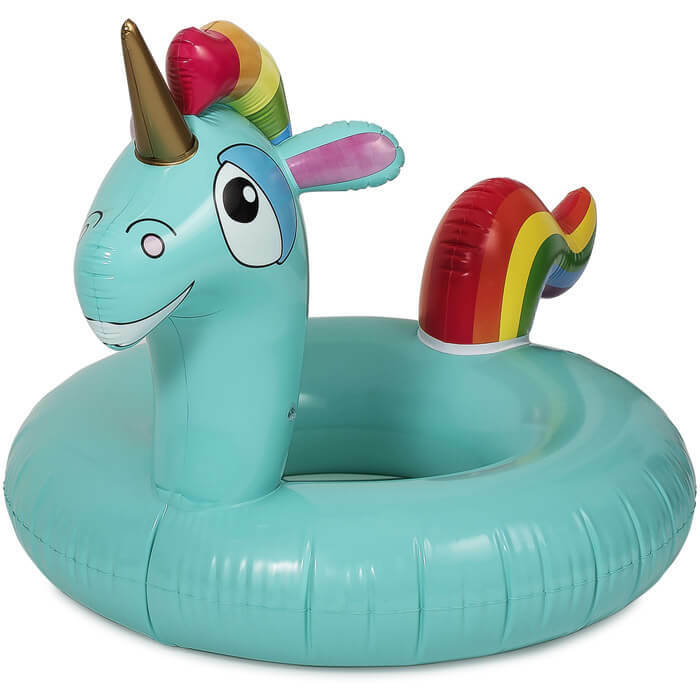 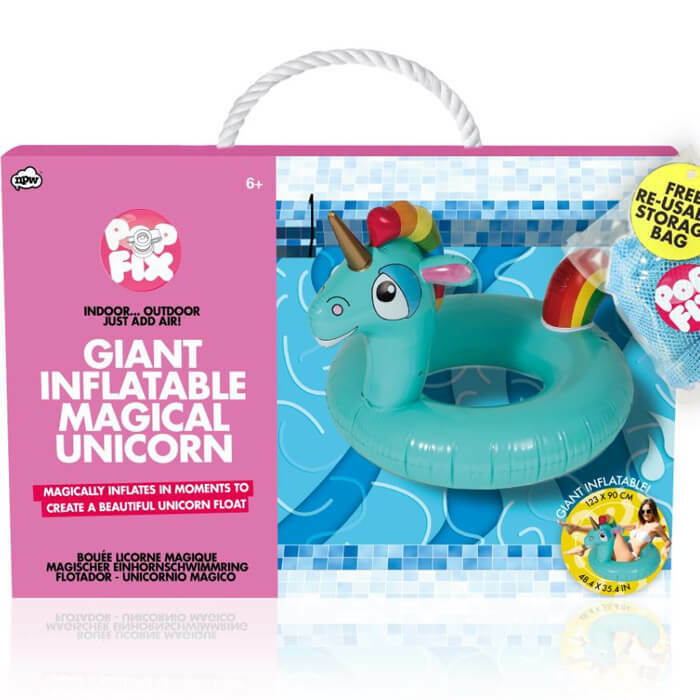 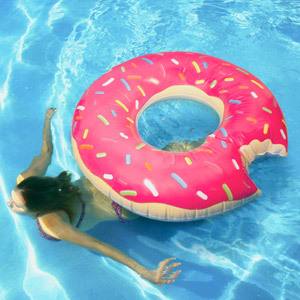 In a magical turquoise design complete with a golden horn this rubber ring is the perfect accessory for the summer and lazy days at the pool. 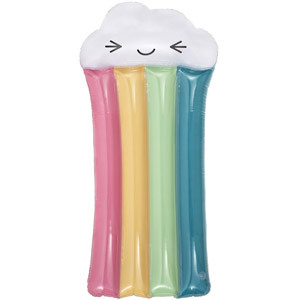 It inflates in moments to create a sturdy float or seat.